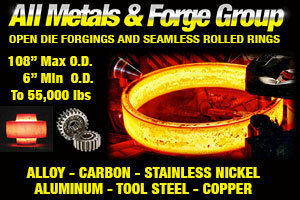 Most people have heard that women are 51% of the U.S. population and only 27% of employees in manufacturing. But there is so much more to this story than a few statistics. To bring the story to life, the Manufacturing Broadcasting Corporation (MBC), broadcasters of Manufacturing Talk Radio has launched Women And Manufacturing, an exciting new show where accomplished women interview accomplished women who can share their experiences and encourage women to look across the broad landscape of manufacturing, from the shop floor to the C-Suite, and the expanse of jobs and careers in between, to learn more about this exciting sector of the U.S. economy and what it might hold for them. Never before has the manufacturing industry been in such an accelerated state of change, from retirees leaving the workforce creating a serious skills gap and brain drain to the implementation of the technological innovations of modern manufacturing often referred to as Industry 4.0, or the 4th Industrial Revolution. The hosts of Women And Manufacturing, all successful women in their own right, will interview women who are in the midst of a successful career in the industry and their respective companies, providing the guests with an opportunity to give guidance, insight, and inspiration to women who may or may not have considered a career in the industry, from teenagers just beginning to think about their career path to women in the industry or in transition in their own professional lives. The subject matter of the interviews will cover the spectrum of unique challenges any woman might face in the workplace or the industry from the success and accomplishments of women from the the shop floor to the C-suite, from executive management to labor unions, and from educational to governmental institutions. Each will share their thoughts in congenial, collegiate conversations with one of 6 hosts who will alternate each week. Hosts will also tease out insights through guest introspection, along with suggestions and recommendations from guests to listeners about navigating the manufacturing and corporate world. Tune in to each episode to hear the accomplished women share their experiences with this generation and the next generation of women who will make and remake manufacturing for the generations who follow in this noble profession which contributes to the greater good of all, improving products, making things better and safer, and fulfilling lives – not just making a living. 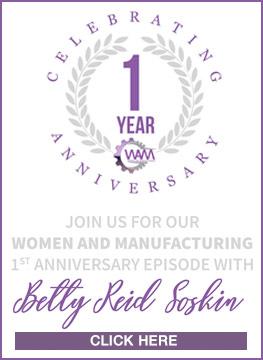 All of us involved with Women And Manufacturing appreciate your listenership and look forward to your feedback as this incredibly exciting show develops.